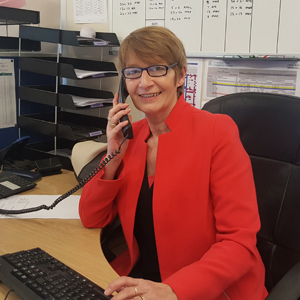 Having joined us last year as our training co-ordinator, Shirley brings to HR Training years of experience in the delivery of plant training and testing and is our resident “go-to girl” for anything CPCS and NPORS related. What do you do for the customers of HR Training & Development? I help all of our customers with their plant training queries such as CPCS and NPORS. I also schedule all of our courses and book NVQ appointments, liaising with our trainers and assessors and managing their diaries. Everything, I love it! I especially like the people I work with and the customers I deal with. What would you say is the best thing about the services HR Training & Development offer? I would say the best thing about HR Training is that we go that bit further to help you get both the right advice for your training needs and the best of quality in services we provide.